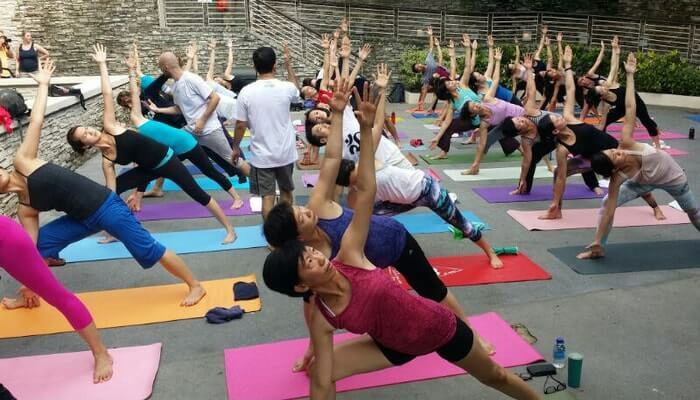 When Health Is Above Everything Else, Then Yoga Teacher Training In Rishikesh, India Is Worth: After hearing a lot about the training courses on Yoga, people all around the world have an inclination for joining the Yoga classes. In the competitive world, health is completely ignored and its effects are visible in the middle and old age. Health is precious gift that one should take seriously. The inclination for Yoga sometimes leads to having incomplete knowledge and in the urge to give best to the health incorrect Yoga postures are done. Just think for a while that if you spend quality time with the learned yogis, the scope for correct eating habits and apt yoga postures will lead to producing effective consequences. Thus recommended for the Yoga teacher training in Rishikesh, India and find attain best of your health. The training on Yoga tend to catch the 200 hours, 300 hours, and 500 hours training sessions. According to the usual trend, yoga courses are certified thus, catch the guidelines and find out best alternatives shortly. The course will lead to giving practical training, experience for teaching Yoga, and different methodologies required for teaching the Yoga. The course aims at rooting deeply the practice, skills, and individuality of the Yoga. In the course of teaching, one will catch the ways for teaching Yoga in a professional manner and how the training will help to make the successful career. The proper learning leads to learning the ways for right and apt postures by making ultimate use of the props. This will eradicate the Tamas or dullness from mind and body and will sharpen down the postures. This will make you conscious and will teach according to the one’s physical limitations, health condition etc. In addition to this, it will help to adjust the postures by making high use of the body weight and hands. Yoga teachers are well-spoken in Sanskrit language and attained training in the Yoga philosophy. It is always an effort that students utter the asanas names in Sanskrit appropriately. This will enhance the confidence as a teacher. Yoga props: Students are encouraged for enduring the pain. It is also encouraged for pushing and forcing the body through props for achieving the right posture alignment. Through usage of props, one gets aware of the body mechanism. Body became flexible, strong, and open doors for releasing the mysteries. Yoga of course cause pains and make you closer to the inner self being. Alignment and adjustment: The entire Yoga course teaches the way of alignment by basic knowledge of the physiology, anatomy, and biomechanics. This will let you make benefits via regular practice and let you make safe as well help to cope with the injuries.